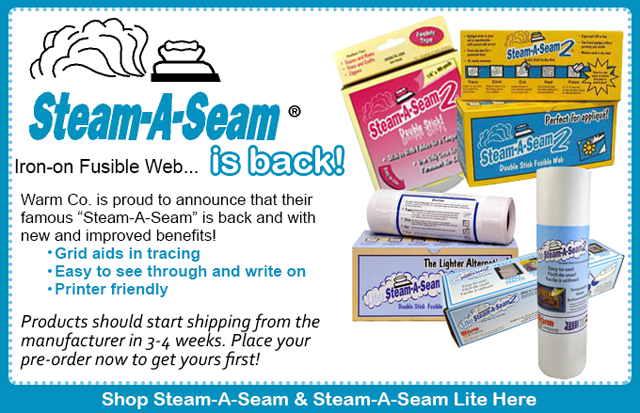 Received the BEST news today - Steam-A-Seam is back!! It will begin shipping in 3-4 weeks. We are taking pre-orders and will ship it just as soon as it arrives!